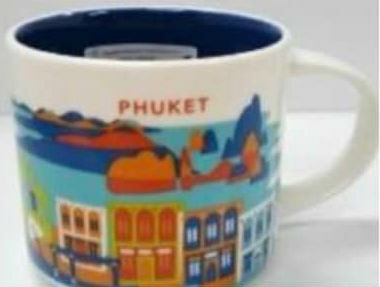 Here’s the second mug for Thailand to be released soon – Starbucks You Are Here – Phuket. And since Phuket is an island known for amazing beaches and resorts, we again see some ocean scenery to be used for the design of the mug. As an addition to that, there are some houses representing Sino-Portuguese architecture. It is a mix of European and Chinese styles and is coming from the era of Western imperialism when Portuguese settlers hired Chinese workers to build houses and other facilities for them.